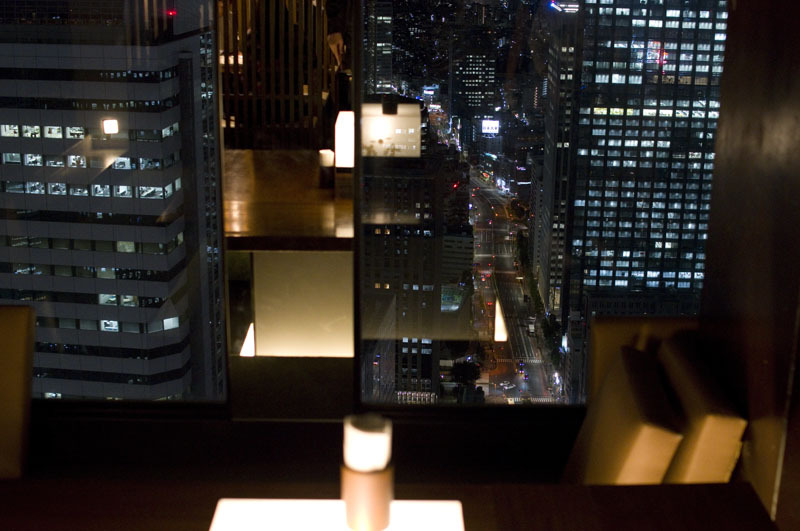 Located on the forty-ninth floor of the Shinjuku Nomura Building, this glitzy skyscraper dining bar offers playful, unpretentious original cuisine along with budget-friendly drinks. Typical of their creative small dishes is the selection of wa-jillo items - garlicky Spanish ajillo sautees incorporating Japanese ingredients. 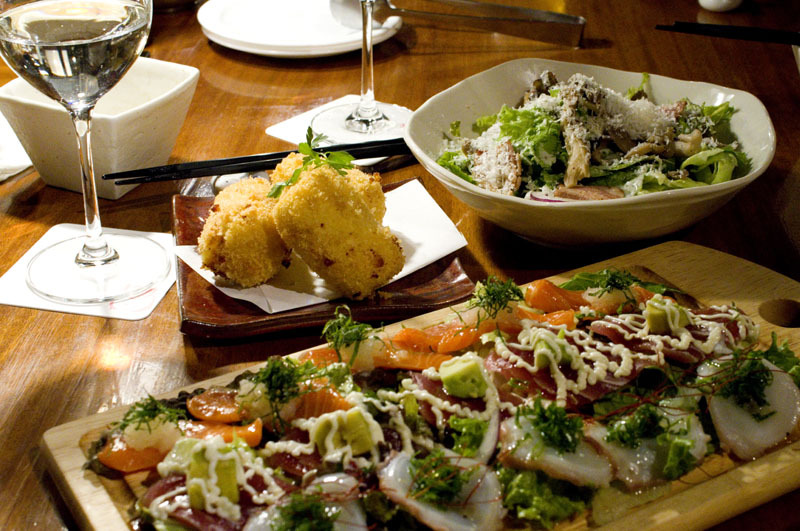 There are also unusual pizzas, cheese fondue, and an upscale version of fish and chips made with deep-fried root-vegetable chips. 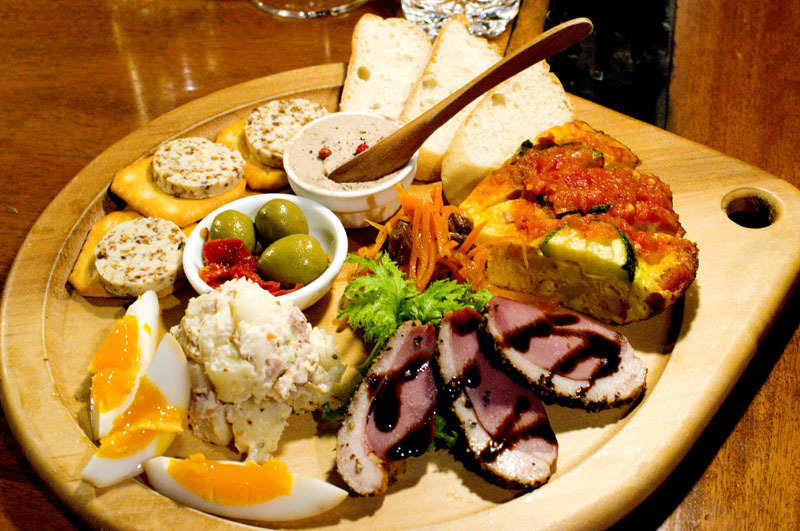 Recommended for all diners is the voluminous tapas platter, featuring an appetizing assortment of duck pastrami, chicken-liver mousse, sun-dried tomatoes, potato salad, and other mini-appetizers. It even includes a few tasty slabs of raisin butter, an old-fashioned bar-snack staple which has been upgraded here to full tapas status. Supplementing the eclectic small dishes are some nicely prepared grilled meats - Iberico pork, sirloin beef steak and beef tongue. If you're not in a meaty mood there's a substantial carpaccio platter, and an entertaining mushroom Caesar salad to supply your daily ration of greens. Wines start at around Y2800 a bottle, or you can opt for fruit liqueurs or original cocktails if you want to get fancy. 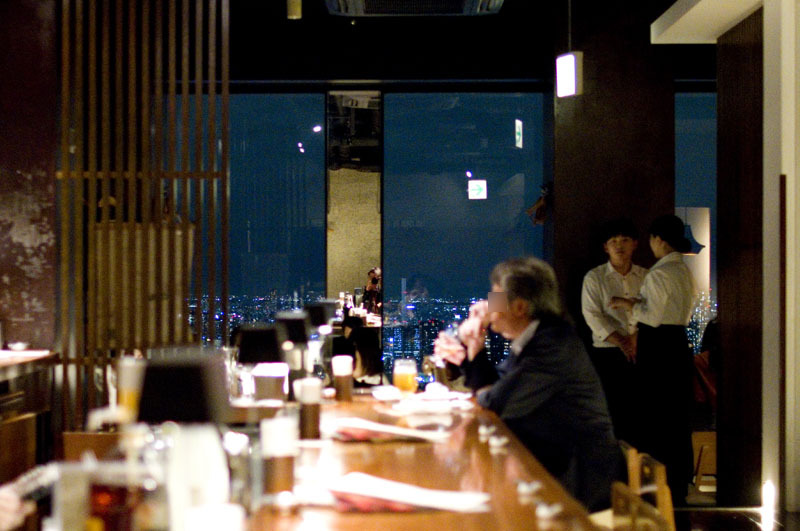 Budget around Y3000-4000 per person for food and drink, which includes a small table charge.